We’re sure she was just trying to help! Yes, there is deep satisfaction in that face. Nice! He’s going to be laughing all the way to the dog park. Then, Hey guy’s listen to what I did to the Hooman this time. Smooth collies are all goofs but who could be mad at that face? 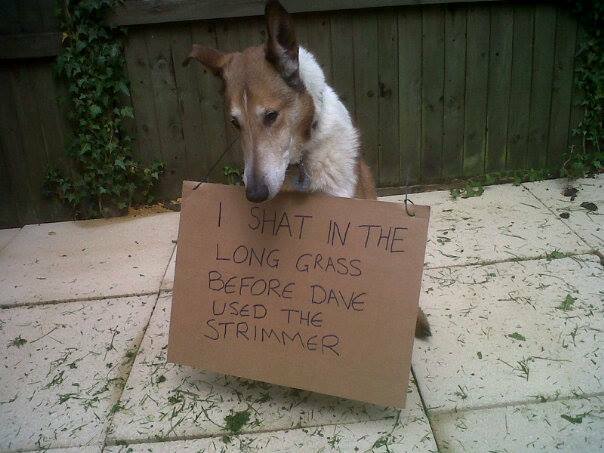 And before Dave noticed that I had left a present?